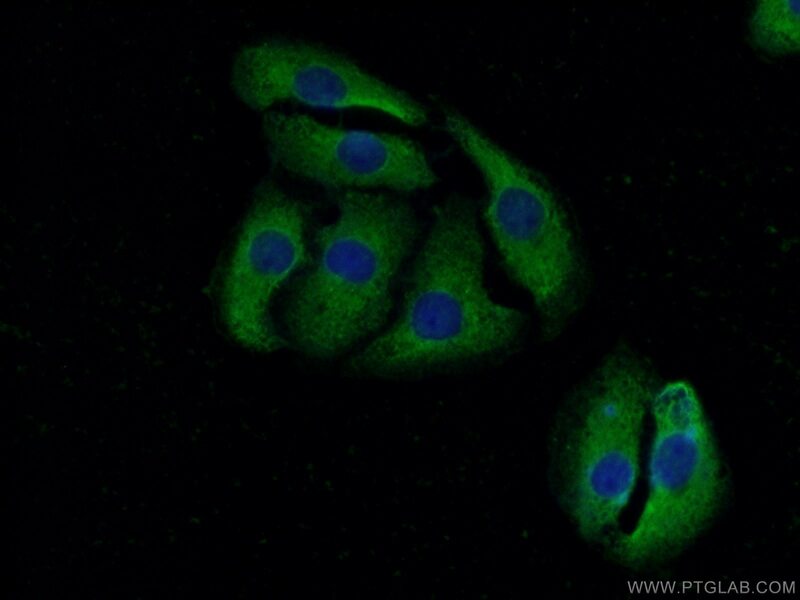 1X10^6 HeLa cells were stained with 0.2ug KRAS-2A-specific antibody (16156-1-AP, red) and control antibody (blue). Fixed with 90% MeOH blocked with 3% BSA (30 min). Alexa Fluor 488-conjugated AffiniPure Goat Anti-Rabbit IgG(H+L) with dilution 1:1000. RAS (derived from 'RAt Sarcoma' virus) gene family includes KRAS, HRAS, and NRAS. These genes encode very similar 21 kDa proteins and are homologs of rodent sarcoma virus genes that have transforming abilities. KRAS has two isoforms, 2A and 2B. 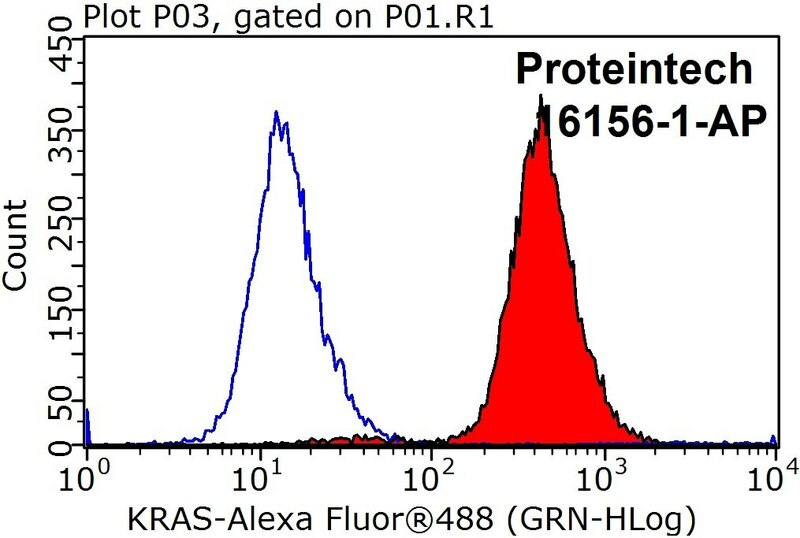 This antibody is specific for KRAS-2A, which also named as KRAS-4A .